Arghh it’s that time of year when half of us are jumping into the Christmas spirit feet first. And the other half is rolling their eyes and shouting keep Christmas in December. I love the whole built up and anticipation; ok I am not an early shopper. But still I love the start of the season however early it is? Planning events and how I will decorate our home is something that I adore at this time of year. Once that frost sets on the ground the excitement sets in. I have harped on LOADS about how Christmas is changing for us this year. But some of the changes are exciting ones. No more hiding and creeping around and we will be able to have an early night on Christmas Eve woohooo. Although Peter the Elf will still be visiting, that guy brings champagne how can he not visit? I will miss him too much. A long leisurely pub lunch on Christmas Eve will be on the cards. With a country stroll home to a roaring log burner and HUGE glass of Bailey’s. It all sounds perfect. So yes change is not always bad is it? It’s just different! And as I mentally prepare I wanted to share this gorgeous sign made by the lovely Leoni who had the most gorgeous little Etsy Store. 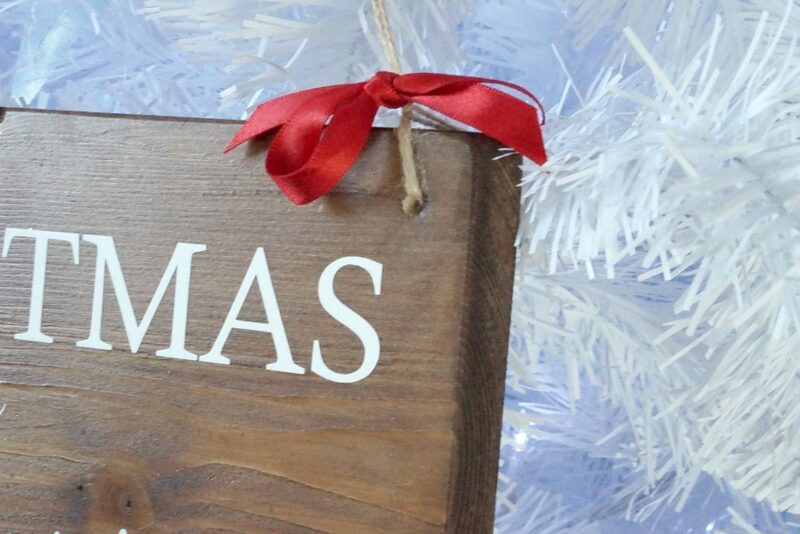 These personalised Christmas signs are going down a storm this with features in lots of glossy homes magazines. What’s not to love? They are so pretty and the perfect addition to your festive decorations to welcome your guests into your home over the festive season. 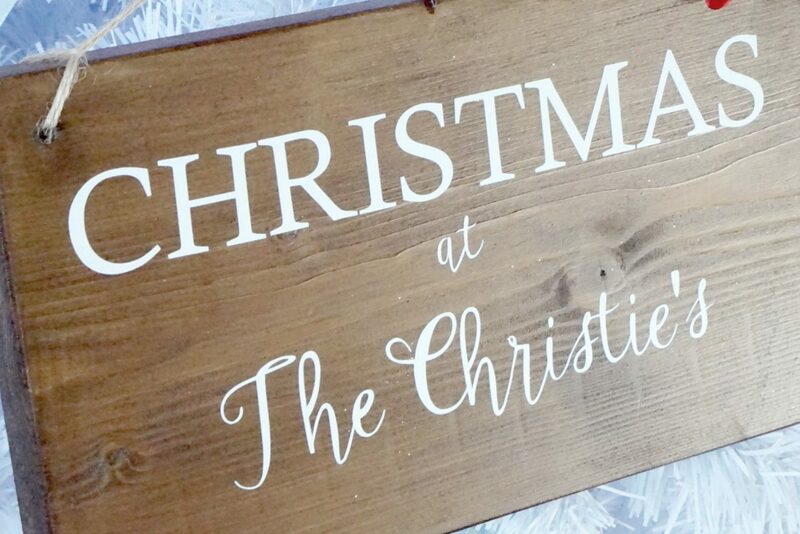 We will proudly display one on our front door this year to celebrate a new and different kind of Christmas. And one of my readers has the chance to get their hands on one of their very own personalised signs by entering via the rafflecopter below. But worry not, if you aren’t lucky they are a bargain at £20 plus p&p over on Etsy and its great to support independent businesses isn’t it? A traditional turkey Christmas dinner at my parents! Spending the whole day decorating the house, then having a takeaway together. preparation… the putting up of the tree and decorations…. thats our tradition.. we plan it all bfore spending the day doing it all..love christmas. I love Christmas Eve Boxes. My little one gets really excited over them. watching christmas movies with the kids on christmas eve while we are all in our christmas pjs. I am the same as you I love the build up of christmas i’m itching to put my tree up already but i will be good and at least wait till the 1st december. Helping my kids put the star on our tree. Opening one present each on Christmas eve! We give the kids a shoe box wrapped up on Christmas Eve with all the essentials, pyjamas, slippers, a hot chocolate sachet and a cookie for Father Christmas. We always have the same family gathering over Christmas and Boxing Day and eat same time each year. We all go as a family to pick the tree from the Forestry Commission. Then we get a venison burger from site. We decide together which will be ‘our’ tree. Started when the kids were babies and wouldn’t like to do it any differently now. We love it. We always go to my Sisters on Christmas Morning, it is lovely seeing all the family there, and we also have a light up Mary Joseph and Jesus which we bought from a jumble sale at 50p, When we turn that ‘on’ it is officially Chirstams! 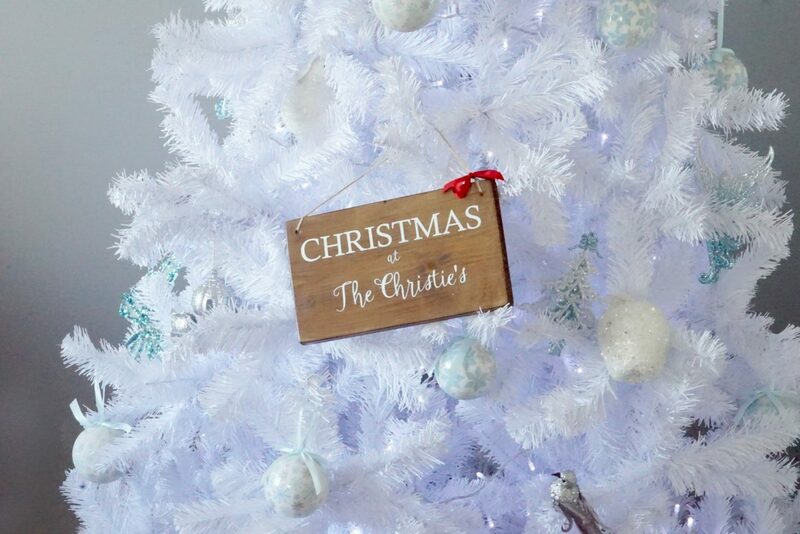 Doing the Christmas tree on the first Saturday of December…can’t wait!! I love all the old fashioned Christmas traditions – making your own cake and pudding, putting coins into the pudding, lighting the pudding and bringing it out, sharing lunch and the rest of the day with close family, opening one present on Christmas Eve. Christmas Dinner and plenty of chocs for after!! Having all the family gather around the village Christmas tree singing carols and switching on the Westfield lights. And then along to the church to see all the Christmas trees design decorated by the local groups. Carol singing with the kids & Santa’s sleigh coming down the street. He comes every year where my little grandson lives and just seeing those little faces makes you melt . It is a huge thing when my large family all goes together to pick out the Christmas tree and the wreath to put on the front door. Putting a drink out for Santa and having a little glass of anything whilst cooking dinner. Playing monopoloy! – great fun! Putting the christmas tree up . I take my very old friend to they churchs midnight service. We make Reindeer Food with oats and glitter and we sprinkle it on to the lawn on Christmas Eve – the glitter lights up in the moonlight to guide the reindeer in to our garden and the oats give them a tasty snack. It never fails and Santa always visits us and the oats have always gone by Christmas morning! I really enjoy setting up the tree (or going and choosing a real one on the years we have a real tree) and decorating it together as a family. My favourite tradition is opening all the presents on Christmas morning. Usually we have a glass of Bucks fizz and an iced mince pie too. Can’t wait. We always go out for a family walk after our main Chirstmas dinner. Helps us to stay awake! Christmas is the only time we have prawn cocktails. Decorating the Christmas tree ? Christmas Eve watching the snowman and then giving the children their Christmas Eve hampers from the elf. My children’s Christmas Eve box, they absolutely love it! Going to visit Santa in his grotto! New Jammies on Christmas Eve, Christmas Eve is such fun!! Decorating the tree with my children, the cheesy Christmas music on and a glass of Baileys in hand.